While the managing director of Crossrail 2 could not be more confident of the business case for the major rail project and the benefits it will provide for the UK, Michèle Dix admits it “still needs to be more affordable”. The scheme is still in its very early stages with nothing finalised or granted permission but initial indications suggest a hybrid bill could be submitted to parliament by 2021 and all being well construction could finish in the early 2030s but the latter is a very loose date. As proposals for funding and even a final route continue to be deliberated, the preceding Crossrail 1 is in the final stages. However, it’s inevitable that those behind Crossrail 2 will be under much more scrutiny this time around due to problems that have been reported elsewhere this year. Not only has Crossrail seen costs skyrocket £600m over budget but its former boss Simon Wright was forced to delay its opening by at least an extra nine months until autumn 2019. 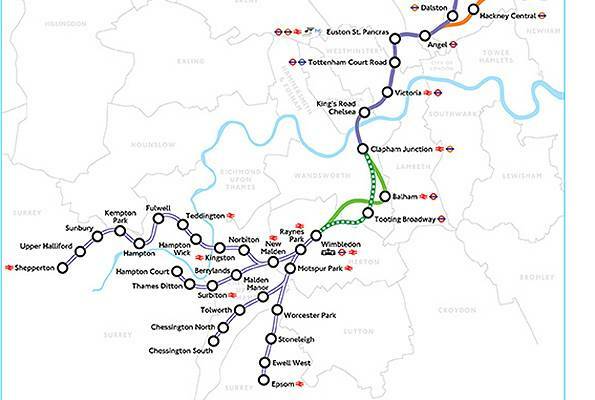 But despite issues with Crossrail, Dix is adamant that Crossrail 2 is in “a good place”. The managing director reiterated why the scheme has a very good business case, by the fact it will generate 200,000 new jobs, add £150bn to the UK economy and most importantly support the development of 200,000 new homes. Furthermore, the line could bring about 60,000 new jobs across the UK supply chain while under construction and 200,000 jobs across London and the south east once operational. While the Elizabeth line runs east to west, Crossrail 2 will predominantly run north to south, connecting London to its outer surroundings with the two lines intersecting at Tottenham Court Road. Its construction would provide extra transport capacity needed to accommodate population growth in the capital and the wider south east while projected to reduce overcrowding at no less than 17 underground stations. But the Crossrail 2 boss concedes the main challenge moving forward is ensuring it is affordable and acknowledges “£30bn is a big number”. Having submitted a revised business case in 2017 to the government, Dix says they were told while the project provided a compelling strategic case, ministers wanted those behind the rail network to once again explore how it can be more affordable. The original affordability challenge laid out by the former chancellor George Osborne supported the £30bn project as long as London paid half but planners were forced to check funding possibilities once again after the transport secretary Chris Grayling asked to see whether they could pay half up front meaning some revenue streams would not be utilised. Another method mentioned to fund the project which has attracted attention is exploring whether all people who directly benefit from Crossrail 2 should contribute. The idea relates to a report published by TfL in February 2017 on land value capture - a way of monetising the increase in land values that large infrastructure projects can bring. "It's not just a London scheme, it's got a lot of cross-party support in London and beyond because of the role it plays for the wider economy." The former Transport for London planner also revealed how achieving savings could play a pivotal role in its success by attempting to reduce costs through value engineering – not by minimising its scope but identifying ways to deliver the infrastructure more cheaply. But in relation to highlighting the need for it, Dix points to the National Infrastructure Commission’s National Infrastructure Assessment which was published in July that reaffirmed Crossrail 2 is one of the top schemes for investment in infrastructure. The project boss is also satisfied that lessons can be learnt from Crossrail 1 and the transfer of knowledge from one scheme to another will be invaluable in ensuring targets are met and obstacles are overcome. The British civil engineer has had an extensive career in transport planning and engineering within the capital. After spending 15 years at the engineering consultancy Halcrow (now Jacobs), she joined TfL as co-director for congestion planning and later became managing director for planning London’s future transport needs. She was also named as one of the Top 50 Influential Women in Engineering two years ago.